Biography: Lord Leigh graduated in Economics from Southampton University, and subsequently joined Deloitte Haskins & Sells where he qualified as a Chartered Accountant. He transferred to the corporate tax department where he further qualified with the Chartered Institute of Taxation. In early 1986 Lord Leigh established Deloitte’s Mergers and Acquisitions Group and developed an expertise in company sales. 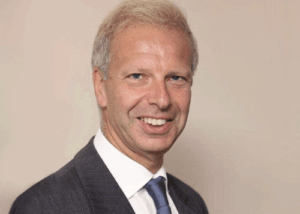 In May 1988 he left to set up Cavendish Corporate Finance LLP and is currently the Senior Partner. He was a member of the DTI’s Deregulation Task Force – Tax Committee (1994-1997), and served on the Board of the Bolton Building Society from 1984 to 1991. In 2000 Lord Leigh was appointed as the Chairman of the Faculty of Corporate Finance of the Institute of Chartered Accountants in England and Wales. In 2008 he was awarded the Faculty’s Outstanding Achievement in Corporate Finance award. Lord Leigh also served for ten years as Vice-President of M&A International (now Oaklins Inc), the world’s oldest and largest international alliance of SME corporate finance advisers. trade, and led the debate on international trade post-Brexit. He served on the Finance Bill Sub-Committee. Lord Leigh has been a Treasurer of the Conservative Party since 2000, and Senior Treasurer since 2010. He sits on the Advisory Board of Metro Bank plc.